At Handy Flowers we know that when you buy anniversary flowers, it’s not just about the flowers. It’s a way to show your partner just how much you love, respect and admire them. And our florists have been honoured to have been asked to create flowers for anniversaries for newlyweds, and couples who have been together for many decades, so we truly understand that importance of getting the perfect bouquet delivered for that special day. So whether you know exactly what you want to order for your partner or you need some advice, give us a call on 020 3409 3030 and speak to the experts. Need same day flower delivery? Send flowers today! There are many traditional anniversary presents you can buy, some wedding anniversaries even have token gift ideas, like something gold for a fiftieth wedding anniversary. But no matter how many years you and your special someone have been together, whether a week or 50 years, flowers are always a top anniversary gift, and we want to help you celebrate. We have a huge range of anniversary flowers ideas for you to choose from, and we can personalise them however you’d like to make them even more special. 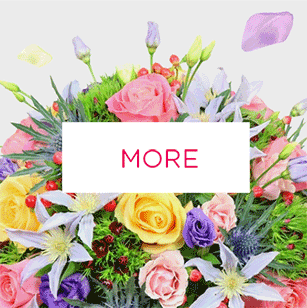 Just talk to our team of florists on 020 3409 3030 today or send flowers online! If you’ve been toying with the idea of sending anniversary flowers to your beloved but been put off because you just can’t find time in your busy schedule to visit a florist, then never fear. We can help you send anniversary flowers online. 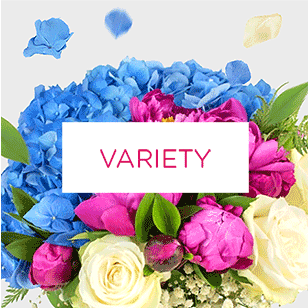 Just visit our online flower shop, have a browse of our extensive range of flowers, bouquet ideas, and personalisation options, and place your order with a click of the button. 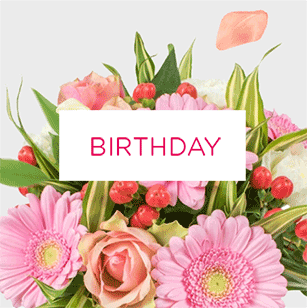 It really couldn’t be easier to send anniversary flowers online thanks to our simple online store. We can even provide you with same day flower delivery at an extremely low cost! Your anniversary is a special time and you want to celebrate in style. But that doesn’t mean you have an unlimited budget to do so. Don’t let that put you off, however, because with our range of affordable anniversary flowers you really can afford the best for your love. We have all the traditional anniversary blooms like roses, but if you’re after something more exotic, we’ve got that too. All at a price that can’t be beaten! If you’d like to know more about Handy Flowers or order flowers, just call 020 3409 3030 today! We don’t know anyone who doesn’t love the idea of having flowers delivered for their anniversary. Men, women, young and old, everyone loves to know that someone cares about them, especially if it’s that special someone. So if you have an anniversary coming up, be sure to check us out and have flowers delivered to the home, workplace or anywhere else. You know they will love it and they’ll love you for such a thoughtful gesture, so don’t delay, send flowers with your local experts today. It’s always nice to have access to a local flower delivery service, and if you’re after a flower shop you can pop into and chat with the team, then Handy Flowers is perfect for you. But what’s even better is that even though we’re a local florist we can organise national flower delivery, so whether you’re celebrating your anniversary at home or your loved one is away, or you’re both headed away for a romantic weekend to celebrate, we can deliver your anniversary flowers anywhere you want. Put your trust in us and let us handle your flower delivery! 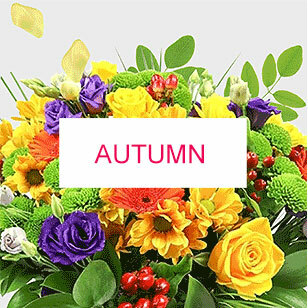 Flowers by post is one of the best ways to show your affection for someone special, and whether celebrating your anniversary or just because you want to show someone you love them on a whim our flowers by post are the ideal way to do it. We have an extensive range of pre-design bouquets, or you can design your very own bouquet according to your own specifications. 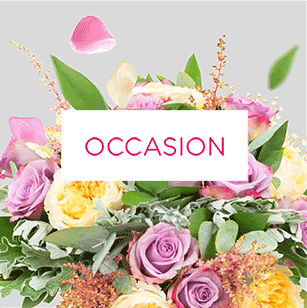 We want you to celebrate your way, whatever that means to you, so come speak to our florists and ask them to design something special just for you. 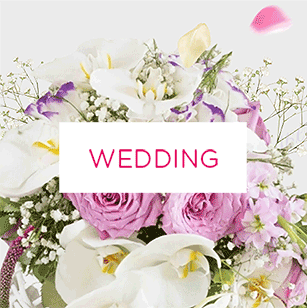 If you want to send high-quality flowers to your beloved for your anniversary, then make sure that you have you your bouquet designed by the very best florists in town: us. We have hired the most qualified and highly trained florists we could find in London, and before they get to touch a single flower they have the go through a vigorous training programme with us to make sure they are good enough to work for our customers. So if you want to kind of quality it’s hard to find, come to us and enjoy the best flowers around. Send flowers online today!